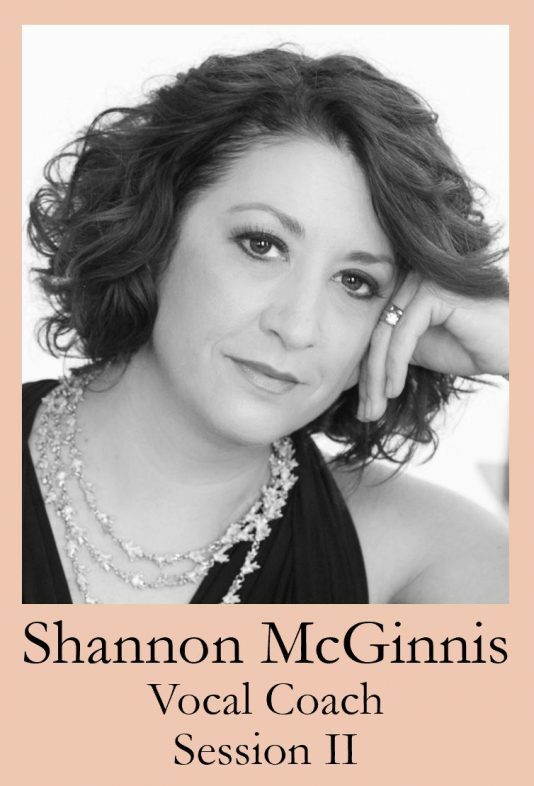 Shannon McGinnis has been recognized for her partnerships with some of the brightest stars in the classical vocal music world. Her collaborative piano accompaniment has been described as “excellent” (Opera News), “strong and supportive” (Chicago Tribune), and “boldly projected, characterful, and delicately nuanced” (Chicago Classical Review). Highlights of Shannon’s 2018-19 season include appearances with mezzo-soprano Jennifer Johnson-Cano as part of the 2018 Collaborative Works Festival, recitals with baritone Michael Kelly, and a live broadcast on WFMT with tenor Nicholas Phan. McGinnis makes her debut with the Philadelphia Chamber Music Society in 2020, in a series of concerts featuring soprano Joelle Harvey, mezzo-soprano J’nai Bridges, tenor Nicholas Phan, baritone Roderick Williams, and pianist Myra Huang. A passionate advocate for art song, McGinnis is a founder of Collaborative Arts Institute of Chicago, where, as Director of Education, she oversees a series of master classes and workshops for singers and pianists, as well as the organization’s Vocal Chamber Music Fellowship. She currently serves on the board of Fourth Coast Ensemble, a Chicago-based vocal quartet with its origins as the first recipient of CAIC’s Vocal Chamber Fellowship. Also at home in the world of opera, McGinnis has held internships and appointments with the Opera Company of Philadelphia, DePaul University Opera Theater, DuPage Opera, and Kentucky Opera. In 2015 she served as vocal coach and ensemble pianist for the world-premiere performances of Matthew AuCoin’s Second Nature, presented by Lyric Opera of Chicago and “Lyric Unlimited”, and in spring 2018 was an official pianist for the Joyce DiDonato Master Classes at Carnegie Hall’s Weill Music Institute, where she will return in spring 2019. McGinnis serves as Lecturer in Vocal Coaching at the Chicago College of Performing Arts at Roosevelt University, where she leads undergraduate and graduate-level diction courses and serves as music director for the undergraduate opera. In summer 2018 she joined the faculty of “Prague Summer Nights”, a four-week opera and orchestra festival based in the Czech Republic and comprised of young artists from across the globe. Prior to moving to Chicago in 20o6, McGinnis held the position of Assistant Professor of Piano and Coordinator of Accompanying at Truman State University. She was awarded the Doctor of Musical Arts in Accompanying and Chamber Music from the University of Michigan, as a student of Martin Katz, and is a recipient of the 2017 Emerging Artist Award in Music, given by the School of Music Theatre and Dance Alumni Society Board of Governors.